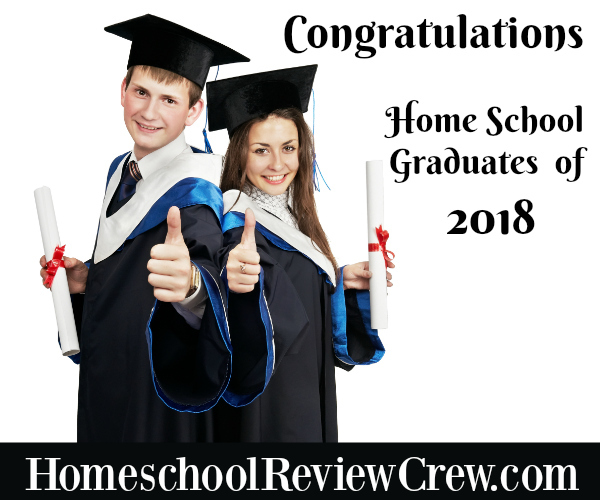 Years ago, before I joined the Homeschool Review Crew, I had no clue as to the wonderful vendors we would be introduced to and able to use on our homeschooling journey. Memoria Press is one of those amazing vendors which we are always thankful for. Memoria Press has allowed us to easily study many subjects we would not otherwise have access to. They are what we now use for Latin, Greek, for Spelling and now for Classical Composition for my oldest daughter, Emmalee. For this review, we were gifted their full set for Classical Composition: Classical Composition I: Fable Set and Classical Composition II: Narrative Set. Additionally, they also included their Classical Composition Accelerated I Lesson Plans for us to use with the curriculum. This was perfect for Emmalee who always works at a faster pace than curriculum normally directs. We received the lessons plans, four spiral bound workbooks and two DVD’s for this set. Each set has a Student Workbook and a Teacher Guide, along with a DVD of lessons that go with the workbooks. It is an entire curriculum for Composition which can be spread out or accelerated, as we used it so that your student can work through the entire set in a year. That’s one set per semester in order to make a full year. Let’s talk about the Classical Composition Accelerated I Lesson Plans first. This booklet is only a few pages in length but very detailed. It sets the curriculum up for you into a 34 week span for lessons. You begin with Classical Composition I: Fable Set, working through this set until completion, then starting on the Classical Composition II: Narrative Set. This is set up as a Monday through Friday schedule, as Memoria Press prefers their curriculum follow that schedule most of the time. You can adapt it as needed and work on a Saturday or Sunday if you need to. The Classical Composition Accelerated I Lesson Plans are not hard but they do cover a lot, making them more intense scheduling wise. Your student sometimes ends and begins a lesson in the same week. I haven’t found that the work was too challenging that this could not be done though. The Classical Composition I: Fable Teacher Guide is extremely thorough. It guides you through the intentions of the curriculum right from the beginning, helping you, the Teacher, understand how the program is set up and guide you through the teaching process which is clearly laid out on the many pages filling this guide book. The Appendix covers words you may not recognize as well as a sentence description to help you better understand them. It also contains a few other pertinent pieces of information for use with the curriculum that we as educators should first understand. The guide itself is easily followed and laid out clearly for our use, breaking each lesson down with explanations on how to use and teach the curriculum to the student. It offers a smaller image of the Student pages for you to view as you work through. Each lesson follows the same pattern, adjusting to what the student is doing in their own workbook for you to keep in line with them as they work through. The DVD, of course, was designed to be used along with each lesson of the curriculum. This DVD features Brett Vaden, an instructor at Highlands Latin School and the Memoria Press Online Academy. Brett guides the student through each of the lessons, covering the subject matter professionally and making it easy for them to understand and follow along with their lessons. This makes it easier on us as homeschooling educators as well because there is a teacher covering the main part of the lesson for us. The Student Book begins with the Teaching Guidelines and suggestions for the programs usage. This is followed by an Introduction To The Fable Stage, where Fable and the writing journey are quickly discussed. Next you will find a Definition Of Terms for your student to use as a guide and to help them better understand these terms as they pop up in their lessons. Lesson 1 begins with an excerpt from The Ant and the Chrysalis. The student reads the excerpt and the lesson follows with a breakdown of the Plot, sentence variation and finally Outline of summary of what they have read. The second part of the lesson begins with Paraphrasing, rewriting the Fable they read the first day, and more variations. These help the student break down what they are learning as they work through the program to really get a better understanding of the writing process. This format continues throughout the book as the student works through many great Fables in writing. The appendix of this workbook is the same as the teachers guide. Classical Composition II is set up exactly as Classical Composition I: Fable Set. The Teacher’s Guide follows the exact same pattern. The appendix shares an Advanced Rubric you can check off as your student works through the program. This covers things like handwriting, content, tone, and so on. There is a description of words that are seen throughout the curriculum with examples. The DVD for the program is also the same as the first, with the same educator leading the lessons as you follow along. This shows unity and creates less confusion for your student. The Student Book begins the same way with the Teacher’s Guidelines shared first, followed by a definition of the common terms used in the program. Next you will find an Introduction To The Narrative Stage which is very thorough in explanation. Lesson 1 begins with a short Narrative of The Rose. The student then breaks this down into the Nine Components of Narrative Invention. Next they create an Outline based on the Narrative read. The second part of the lesson covers Variations of the Narrative and Paraphrases as well. There is plenty of room for writing within the pages of the workbook but a student can use notebook paper if necessary as well. Lessons in the Narrative workbook are slightly longer than the lessons in the Fable workbook, requiring more writing on the students part as they learn to develop these composition skills with their writing. The program really gets the student thinking and breaking down what they’re reading. The Classical Composition curriculum program is designed to be used with students in grades 4-12. The student workbook is designed for use with one student so you will need a copy per student using the program. It is a full composition curriculum designed for your student to use. I honestly asked for this set for Emma. Emma is my most driven student. She absorbs everything placed in front of her and has been using Memoria Press for her lessons for a while now. While we don’t normally follow the suggested schedule, she was easily able to do so for this review. She found the program exciting and challenging. Now that the review period is over with, I’ll allow her to resume her usual work-through-the-program-as-quickly-as-she-likes way of learning. It works for her. She especially loves programs that teach her while challenging her learning and this is one of those. She’s gleaned a lot of knowledge about writing in the past few weeks while we’ve used this program. It’s wonderful to see her love of learning and writing blossom thanks to such wonderful curriculum. She really thrives on all of the Memoria Press products we use in our learning. Classical Composition I:Fable Set is available for $85 from Memoria Press. This includes the student workbook, teacher’s guide, and the DVD for the set. Classical Composition II: Narrative Set is available for $85 as well. It’s intended for grades 5-12. It also includes the student workbook, teacher’s guide and the DVD for the set. You can buy both sets together for a discounted price of $120 using a special coupon offered on the site. The Classical Composition Accelerated I Lesson Plans are available as a download for $8 or $9 in print. I’ve been a long time fan of The Critical Thinking Co.™ They have several wonderful products that really help your kids think and understand. For this review, we were given many options. I personally chose Critical Thinking Detective Book 1 for us to use. This is a small workbook of about 32 pages in length. It comes with a paperback cover in a glossy finish that features a serious looking detective on the front. I assume he is looking for clues, like any great detective would be. Critical Thinking Detective Book 1 focuses on Math and Vocabulary. It is written by Michael Baker. Graphic Design is created by Scott Slyter. This book is designed for use with 4th through 12th graders. The book itself requires students to read through the pages thoroughly, in order to comprehend the “case” and solve the problem presented in the “case” itself. You will begin with information written in an article that provides clues to the case. There is a line-up of suspects featured on the page of which you will need to deduct who did it. The second page provides a form where you write down the names of each suspect and use the provided evidence to tell why or why not the person was not the culprit in the “crime” or “case”. Cases are titled simply. The Car Thief,The Chicken Breast Thief, The Plant Thief are only a few of the titles listed throughout the workbook. Some of the cases are pretty funny. Others are challenging. None are too hard to understand or complete. The answers are included in the book, beginning on page 26. The answer section is thorough and shares info on each suspect as well as the culprit of the crime. We began using this book together. We read through the crime article and discussed the details. Then we talked together about each suspect, discussing details, profiling each one. As we worked on deducting who did it, we discussed the culprit themselves and why they were the one who committed the crime. It was a fun exercise to work together on. I also allowed my daughter to work on this herself for some of the articles. She simply wrote out her answers on notebook paper so that we could share the workbook with the other kids. It was easy for her to do since the outline is really simply and easy to follow. This allowed her to work on critical thinking without my guidance and she did very well. I look forward to using more of the books from this series with her in the future. The Critical Thinking Co.™ offers tons of books for critical thinking which are available on their website. They also offer test prep, and full curriculum for use both with homeschooling and public schools. They have a catalog available for request on their website. Critical Thinking Detective Book 1 is available in both Paperback and eBook for $8.99 each. Last week, I had no reviews with the crew, so I took the whole week off. I really needed the break and it was wonderful. Sometimes you just need a reset. Last week, we attended our first even with our new homeschool group. It was the end of year party. We were fashionably late but still had a lot of fun with everyone. The kids met new people in the area and we did, too. This is our first time in a while participating in a homeschool group. I’m really excited to participate in this one. It’s a simple group with lots of lovely people. I’m now one of the co-admin for the group and will be in charge of party planning as well as planning some fun events. I’m looking forward to joining others who are like us for some fun this year. The kids are as well. Since we left Georgetown, several years ago now, we haven’t made any close friendships, though we’ve continued the ones we already had and repaired ones that had fallen apart. However, in moving, we had to leave our dear friends behind so I look forward to making new friends and family in this new journey of our life. I look forward to seeing where we are being led as well. Last week, I began another new adventure. A dear friend of mine has written a book. It’s a suspenseful romance novel. I’ve taken on helping her with her new adventure. I’m editing her book and helping her design images for social media. I’m also helping her to pinpoint the best way to publish her novel. In turn, this is helping me so I’m ready when my time comes as well. I’m learning a lot and so is she! I can hardly wait to see where this adventure leads us both. It’s finally June and this month is my birthday. I asked for two things: a file cabinet for all of these homeschool papers we have and use, and a desk for myself. Last week, I found the file cabinet for free at a local thrift store. Someone had tossed it out into her parking lot and she assured me that if I just took it out of her way, I could have it. WIN! It’s got all of it’s drawers and works great. We’re in the process of cleaning, stripping it and refinishing it before we bring it in the house. Over the weekend, I found a desk. It’s a beautiful Waterfall desk that had water-ring damage across it’s top. My husband has lovingly sanded it down for me until those rings are gone. He’s not fine sanding the edges, doing some mild repair work and hopefully by the weekend, my new-to-me desk will be in it’s new home underneath my bedroom window. I cannot wait to write at my beautiful desk. I also found a gorgeous headboard for our bed. No more leaning on my wall as I type on my laptop sitting on my bed. This huge beauty is absolutely perfect. I’ve never had a nice headboard so I’m extremely excited by this. I promise to share photos as soon as I get it and my desk placed in our room. Now I need to find a new-to-me nightstand to go by my bedside! It’s been a busy last week but I really feel peaceful and blessed. Today, on June 5th, we’re sitting at home with the windows open and the cool breeze blowing in. Our life has changed so much for the better this year. I only hope it continues as we adjust to our new life here. Thank you to Homeschool Diploma for providing us with the means to make this Graduation Day happen. We are truly thankful for the beautiful diplomas, cap, gown, and tassel you have blessed us with. I look forward to purchasing my daughter’s diploma from this company soon in our future. 17 years fly by before you know it. It seems like it was just yesterday that I was bringing my babies home from the hospital and now here we are at Graduation. They truly do not stay little long and this season is a short one. As a Mother, we hope and pray over our children throughout their lives. We help them build their dreams, we support their hopes, we provide all we can to give them the lives they deserve. We can’t know the course of their future but we pray for the best for them in this life. But education does not end at graduation. Education is a daily part of life. We learn more and more through the years than we ever do in the 13 years we attend school. Learning is the most important part. So though graduation is here, we will continue to learn together, to expand on hopes and dreams as they come. That’s the real beauty of learning at home… continuing education even after it’s time to end has come. Read more about our 2018 Crew Graduates by clicking below! Home School Navigator is an online program that focuses on teaching your student reading. It’s a full program that covers all the important parts of the reading skills that your child will need. There are several program levels from Kindergarten to Fifth Grade that you can choose from for the Home School Navigator Reading and Language Arts Curriculum they have available. The first level of the program is the Red Level. This is a Kindergarten level that you can choose. Red Level covers books like If You Give A Mouse A Cookie, Eric Carle books and Pete the Cat. These are simple and easy to use books that most people already have in their homes or they can easily be checked out from a local library, as well as purchased online or in a local bookstore. When you sign up for the Home School Navigator program you’ll choose your students and set the program up with a username and password for them. They will use this to log in each time or you will log in for them straight from your dashboard. You will choose a level for the student to start from: Red, Yellow, Orange, Green, Blue or Indigo. In each level, you will find levels of bars for you to choose from. The Red Level begins with a Master Book Title List for the books that go along with the lessons taught in that level. This is a download that you can print for reference later. You will also find a bar with Handouts available. These are the worksheets and handouts that can be printed and used along with the lessons. These are a great addition to the program. Next you will find the actual lesson plans for the program, broken down for each week and each lesson. These vary by level. They are downloads that you can then reference like an actual teacher’s guide and lesson plan for your lessons. Some lessons contain videos that go along with the program. They help you “teach”. There are links to other websites and videos that go along with what you are learning as well. Each lesson of the program differs. The lessons cover Literature/Comprehension, Writing/Grammar, Phonics/Word Study/Vocabulary and so much more. There are “extra’s” that you can do as well. And a look-ahead for the next week is usually included in the current lessons so that you know what’s happening before you get to that. Each of the program levels follow this format. As your child grows in reading, the program develops with more videos and links to keep them interested in what they are learning. Skills being taught become harder and more appropriate for the student as each level is completed. There are places that you can upload completed assignments and the program is set up so that you click a button when the student has finished a section. In your parent dashboard, you will find access to assignments, each students profile, a place to download your student’s portfolio, and other info. You can also order additional materials to use with the program like a cursive writing workbook, a wall word set and several other items. These are not necessary to order but nice additions if you choose to add them in. We used this program on several levels. I found it to be very structured and set up like a public school teacher’s curriculum would be. It wasn’t extremely hard to follow. I do not like that you’re unable to change your child’s level in the program after a certain time period since some students develop as they go and are ready to advance. I also prefer a program that includes online copies of the books needed for the program when using it. For a homeschooler who is looking for a full program that is laid out for them and easy to navigate, this program would be wonderful. For a veteran homeschooler who prefers a less structured lesson for learning, I didn’t find it fit us well. I would recommend this program to someone who is newer to homeschooling and who is looking for a program similar to what public school would use. This would be a great fit for a student who is advanced in reading as well.